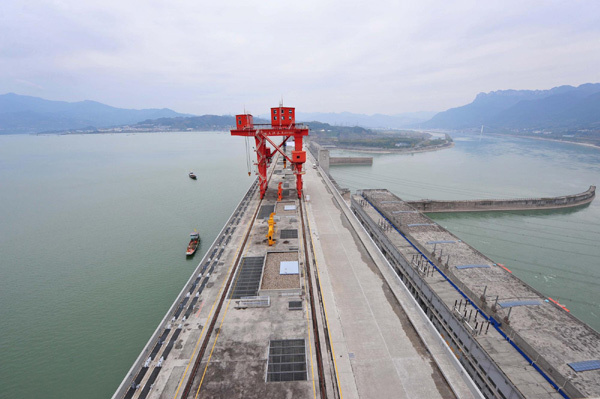 YICHANG - The water level at the Three Gorges Dam, the world's largest water control and utilization project, reached its designed full capacity mark Tuesday. The water level hit the target 175 meters at 9 am Tuesday, said Cao Guangjing, chairman of the China Three Gorges Project Corporation (CTGPC), the developer of the massive project. The 175-meter mark, a milestone in the construction of the gigantic reservoir, would "enable the project to fulfill its functions of flood control, power generation, navigation and water diversion to the full", he said. 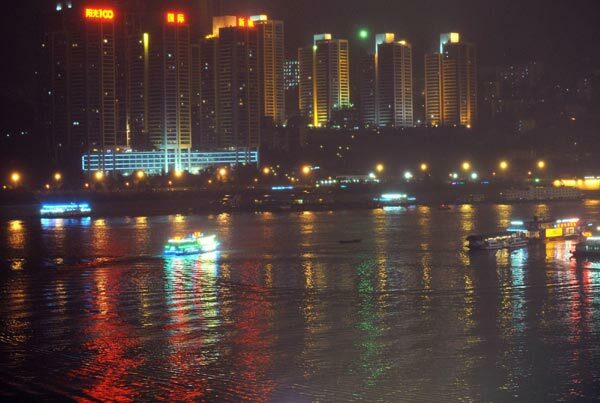 The project, built on the upper middle reaches of the Yangtze River, China's longest, began to store water in 2003. Water levels were lifted to 172.8 meters in 2008 and 171.43 meters in 2009. In September, the dam started to hold back more water by discharging less to the lower reaches of the river.